An understanding of cities as open systems whose agents act on them simultaneously from below and above, influencing urban processes by their interaction with them and with each other, is replacing the simplistic debate on urban participation which asks whether cities should be organized bottom-up or top-down. This conceptualization of cities as complex systems calls for new collaborative city-making methods: a combination of collaborative planning (which already embraces various agencies and derives decision-making from negotiations between them) and collaborative design (existing methods rely on rule-based iterative processes which control spatial outcomes). While current collaborative planning methods are open and interactive, they fail to simulate realistic power negotiations in the evolution of the physical environments they plan; collaborative design methods fall short in modelling the decision-making mechanisms of the physical environments they control. This research is dedicated to building an open negotiation and design method for cities as self-organizing systems that bridges this gap. Gaming as a tool for knowledge creation and negotiation serves as an interface between the more abstract decision-making and material city-making. Rarely involved in the creation of our environment, it has the unexplored potential of combining the socio-spatial dimensions of self-organizing urban processes. Diverse agents, the collaborations and conflicts within and between interest groups, and the parameters provided by topological data can all be combined in an operational form in gaming: potentially a great unifier of multiple stakeholder negotiations and individual design aspirations through which to generate popularly informed policies or design. The simple language and rules of games will allow jargon-free communication between stakeholders, experts and non-experts alike. The interactive and iterative nature of city gaming encourages the development of collective intelligence, derived from the real lives of players to be redeployed in their real urban futures. Vitally, city gaming enables the negotiation of this future, as players with conflicting interests are given an opportunity to develop compatible, even shared, visions. By transforming serious issues into a playful and engaging (although no less serious) experience, city gaming unlocks difficult conversations and helps to build communities in the long term. The urban design, policy and action plans generated collaboratively through gaming will increase social coherence and local agency, as well as cutting costs and time in urban development processes. This thesis proposes Generative City Gaming as an innovative urban planning and design method built on the tradition of serious gaming. Going beyond the educational scope of other serious games, the ultimate aim of city gaming is to become operational in urban processes – a goal in the process of making a reality since 2008, when Generative City Gaming was first applied to a real urban questions in the Netherlands, later expanding to Istanbul, Tirana, Brussels, and Cape Town. 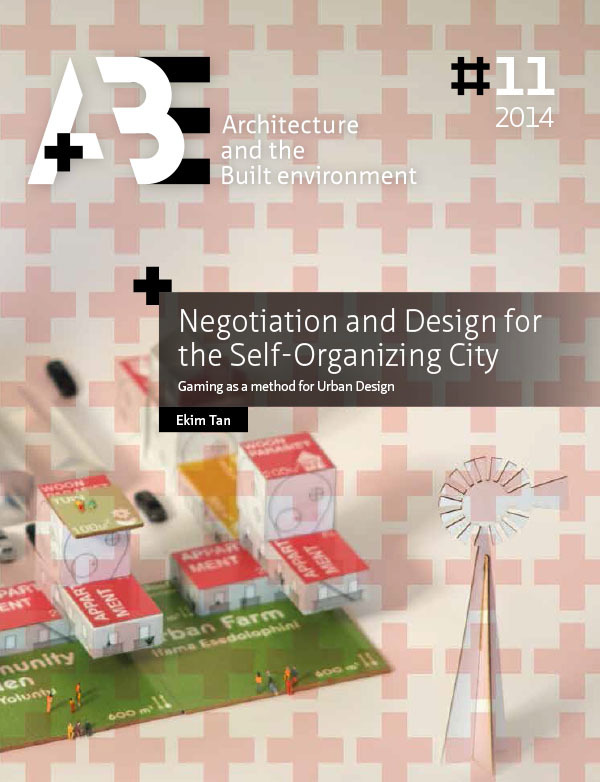 “Negotiation and Design for the Self-Organizing City” reports on six of the twelve city games played to date which were instrumental in the evolution of the method: Play Almere Haven tested whether a game based on self-organizing mechanisms could provide an urban order; Play Rotterdam questioned whether game-derived design could be implemented in urban renewal of a central Rotterdam neighborhood; Yap-Yaşa was played with real urban stakeholders for transforming Istanbul’s self-built neighbourhoods; Play Noord investigated a masterplan on hold could be fixed by unconventional stakeholders; Play Oosterwold jumped up a scale to test the rules of a flexible urban expansion plan for 4500 hectares; Play Van Gendthallen, was the first to enable stakeholders to make the leap from design to reality within the game process. The Generative City Gaming method evolves continuously. Every new case tests and proves the applicability of city gaming to a specific urban complexity, while challenging the method to adapt itself and develop new features tailored to tackle each unique urban question. Through use, this gaming method is finding its place within existing city-making procedures in a number of countries. The next big question is whether cyclical and open-ended city gaming can move beyond being a consultancy and research tool to become the principal medium of processing and executing city planning.